French Lover is a popular perfume by Editions de Parfums Frédéric Malle for men and was released in 2007. The scent is green-spicy. It is being marketed by Estēe Lauder Companies. This fragrance is sold as "Bois d'Orage" in the US and Canada. I never noticed the brand before and it was only by chance that I passed one of these "noble department stores" at a Frederic Malle Sales Desk. And since the lady in charge approached me there and I had just a few minutes, I gave her a rough description of what I might be looking for (elegant office fragrance with perceptible sillage but without big airs and graces). Without hesitation (and that speaks in such a case for the quality of the personnel (because good personnel is notoriously hard to find)) the lady reached for the French Lover flacon (the name irritated me colossally, that should be an office fragrance? ), sprayed three times into the air, pulled a paper handkerchief through the resulting fragrance mist and handed it to me then. Impressed by the way of presenting a fragrance, I led the white paper to my nose and took a breath. First impulse: what a stupid name. I was expecting something completely different. An aggressive, macho, dirty, challenging thing. So much for the power of words and their influence. Second impulse: special. Interesting. First the nose is neutralized on the coffee bean glass and then smelled again. Still special. The fragrance pyramid quotes Florentine iris, ok, fair enough, I am not such an expert to identify them. Rather a hint of galbanum, which is normally found in base notes. Certainly a reason for the special top note. I also hear Vetiver, who is always present, but never loud, simply accompanying the whole ensemble. And the longer this fragrance develops, the more patchouli comes to the fore. The combination of Vetiver and Patchouli gives this fragrance a green and slightly bitter note, very special and so from me yet with no other perfume so smelled. Third impulse: Want to have. Bagged and ready. To give a recommendation, when and for whom this smell fits now, falls to me super heavily, because I cannot make a clear statement despite his extra class. I definitely see the scent in men rather than women. I can't wear the scent myself every day either, because sometimes (depending on the mood) it seems a little melancholic and melancholic due to its green character. But FL is undoubtedly a fragrance of great class, so Sillange and durability are also high on the list. Finely tuned and great craftsmanship. And fully satisfying my original parameters (discreet office fragrance). Opens with an fresh and aromatic blend of angelica, spices and galbanum. I see a perfect olfactory simulation of dark forests and open fields, of grass, herbs, leaves and damp soil. The crisp greenness of the galbanum dominates the whole fragrance until the very end, but it is enhanced and modified as the other notes emerge or disappear. Iris and angelica for example soften its sharp edges, whereas bay rum and clove add sweetness and fullness to it. When cedar, vetiver and frankincense emerge the scent's character change from a luminous (plant-like) green to a slightly darker earth-and-woods accord. The dry-down is characterized by a gauzy oakmoss, woods and musk blend. Bois d'Orage/French Lover is quite a unique fragrance, since it evokes many different, conflicting impressions at the same time: rustic but sophisticated, austere but luminous, mysterious but easygoing. Although the opening may be bracing, the fragrance calms down quickly and becomes this enchanting woodsy-aromatic skin scent that is suitable for all occasions and accessible to anyone. Its crisp dryness make it especially pleasant for warmer days, and since it is very sheer it will never be annoying. Bois d'Orage (French Lover outside the US) starts off quite vegetal. Those green vegetal notes hang around for more than a bit before the scent grows gradually into its natural smelling cedar heart with accents of musky angelica and incense to compliment the primary cedar heart note. The cedar hangs around through the rest of scent's development, combining with a prominent vetiver note on the dry-down. It was not "love at first sniff" for me on this one, but it has grown rapidly on me quite a bit and I now would say it is one of my favorites from the Malle line. It is unisex, with a slight masculine tilt, and has average projection with superb longevity. Maybe not a mandatory addition to one's collection at its relatively lofty price tag, but definitely worth considering and quite pleasant smelling on the whole, IMO. 3.5 stars out of 5 and recommended. Next, upon learning that BOIS D'ORAGE really is FRENCH LOVER, I took a gander at my manufacturer's card and discovered that, lo and behold, this composition was created by beloved Pierre Bourdon! According to the marketing text, this perfume is intended for men with a sense of humor. Hmmm... it doesn't smell funny to me. Oh well, it smells great! A very nice blend of angelica, galbanum, pepper, incense, cedar, and what not, FRENCH LOVER is now my friend. This angelica composition has much better longevity on my skin and also more depth and complexity to my nose than does the J.C. Ellena FM angelica offering. 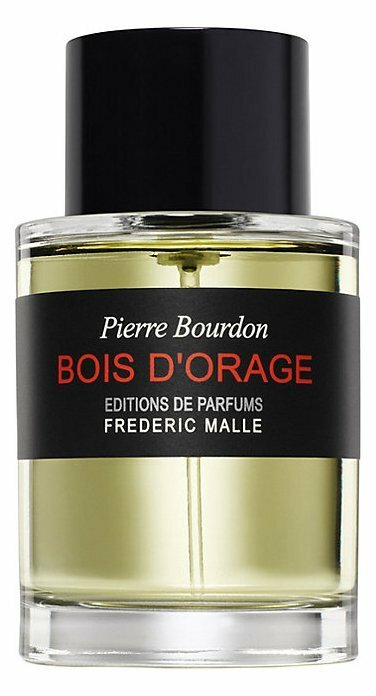 BOIS D'ORAGE/FRENCH LOVER seems entirely unisex to me. A Particular sort of Fragrance. After a several wears I feel as though I'm getting a better sense of this stuff. It's as dry, arid and masculine as can be, but in no way conservative or stodgy, and without being the sort of openly pleasant and seductive thing that a fellow might wear in attempt to impress a shy partner. Instead it's somewhat challenging, and an "I don't particularly care what you think, you'll simply have to take me as I am" sort of fragrance, and useful in those particular sorts of situations of confidence where that's the sort of position you might want to find yourself taking. If that's a position you feel you can reasonably pull off, that is. Everything revolves around the grassy-woody heart with strong angelika note. Intelligent, clever and animalic in the sense "wild"& Natural.